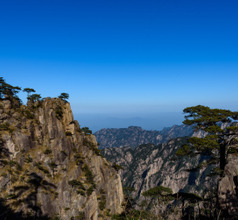 Huangshan City (old name Tunxi) has become a much-visited tourist destination in China due to its proximity to the Huangshan Mountain (Yellow Mountain), a UNESCO World Heritage Site. It is popular with trekkers, campers, naturalists, photographers, and tourists who come here in large numbers to absorb its spectacular natural beauty. The region has also inspired many painters, poets, and filmmakers. 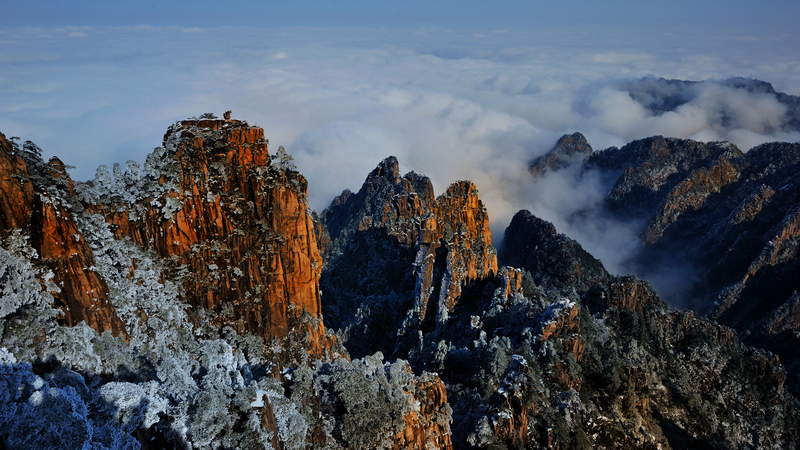 Huangshan City is the access point of several ancient ethnic villages, each one with its own special aura and beauty. The Tunxi Ancient Street is well-known for its calligraphy sets, ink tablets, and seals. Just half an hour’s drive from the city is the magnificent 580-years-old Tangyue Memorial Arches, also called “Gates of Virtue”. The Hu Wenguang Memorial Archway near Xidi Ancient Village is another relic from the past that showcases the architectural talent of the local people. The arches are decorated with beautiful calligraphy, birds, flowers, and other traditional Chinese motifs. 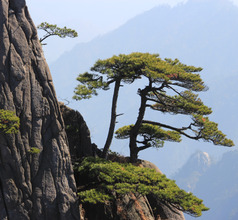 In the last couple of decades, there has been a constant inflow of domestic and overseas tourists to Huangshan City. Consequently, there has been a rapid development in the infrastructure, accommodation, and hospitality services. The city is a hive of activity throughout the year, except in the winter season when some of the surrounding scenic spots are closed or inaccessible. A majority of the star and mid-range hotels of Huangshan City are located in the West Transfer Center, Bei Hai, Tangkou, Xiaoyaoshui Road, and other urban areas. 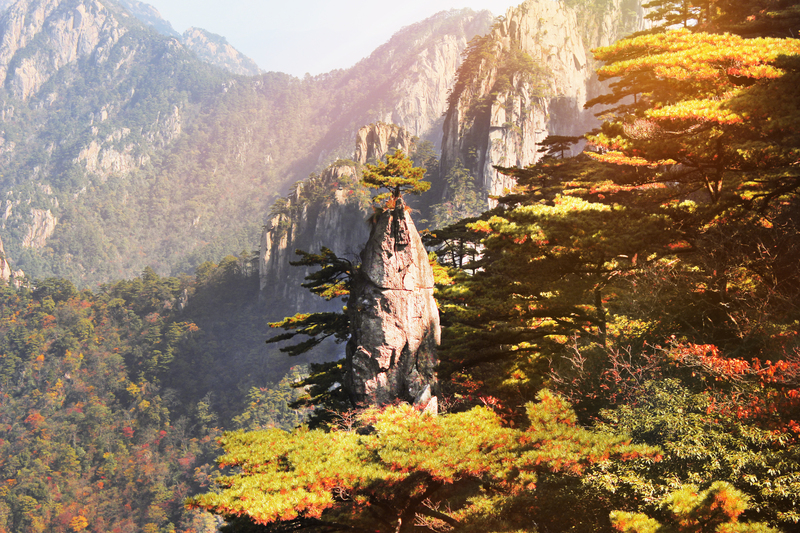 Being so close to Mount Huangshan and its beauty, the hotels are surrounded by a serene atmosphere that immediately relaxes one’s body and mind. They have various amenities like in-house multi-cuisine restaurants, recreational centers and gyms, convenience stores, concierge services, helpful staff, airport shuttle service, and the most magnificent views from the rooms. There are a number of budget hotels and lodges along the Tunxi Ancient Street. Many of the villages have accommodation for tourists in the form of self-contained tents, small ethnic-style cottages, or inns. 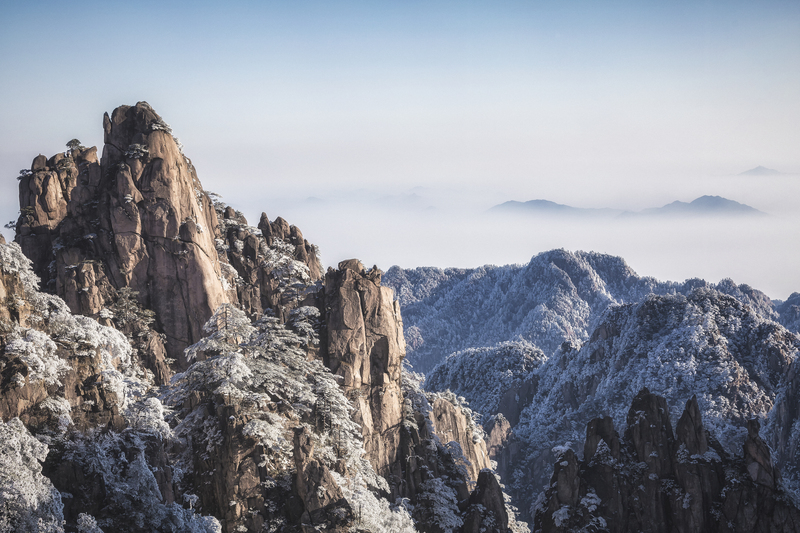 These places have the basic amenities and are the best option, giving one sufficient time to explore the vast scenic area of Mount Huangshan at leisure. 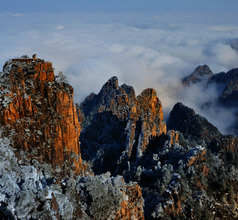 The tourism sector is the mainstay of Huangshan City. The locals are friendly and accustomed to the constant stream of visitors. 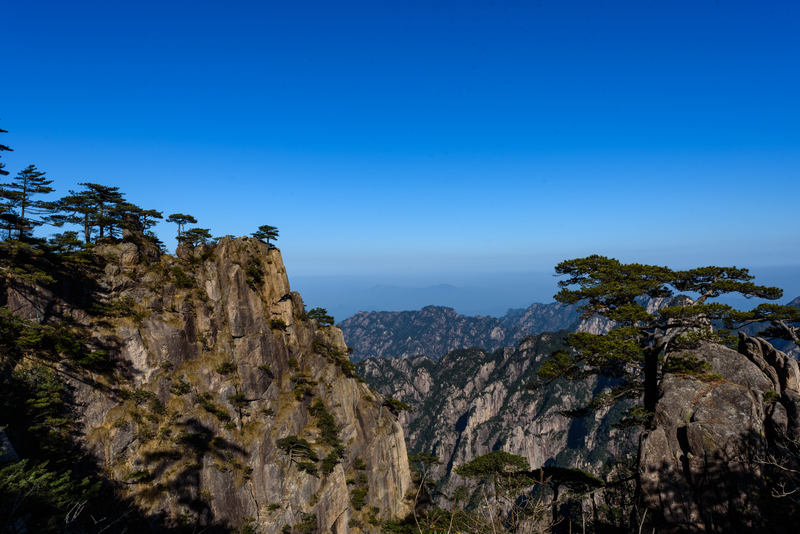 The mountain range of Huangshan is a bonanza of scenic spots that are worth exploring. There are paths along dense virgin forests, waterfalls, pools, caves, river valleys, ethnic villages, etc. commonly used by trekkers. The Hongcun Village with its ancient buildings and greenery is the photographer’s paradise. It is also the starting point of the hiking and trekking expeditions. Some sections of the mountain peaks look stark and beautiful against the blue skyline due to the gigantic granite rock formations. Most of the ethnic villages near Huangshan City are in the UNESCO World Heritage list. 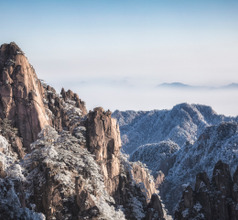 At the foothills of Mount Huangshan lies one such must-see, the Tangmo Ancient Village with its exquisitely designed pavilions, the water street, and numerous memorial archways. Another must-visit village is the Shexian Village (also called Huizhou Ancient City) which has a plethora of Ming and Qing Dynasty residences, pavilions, memorial archways, bridges, etc. The fascinating Mukeng Bamboo Forest has become a tourist hotspot in recent years. Visitors can indulge in sightseeing, photography, bike tours, trekking, watching village entertainment, and enjoying the local cuisine. 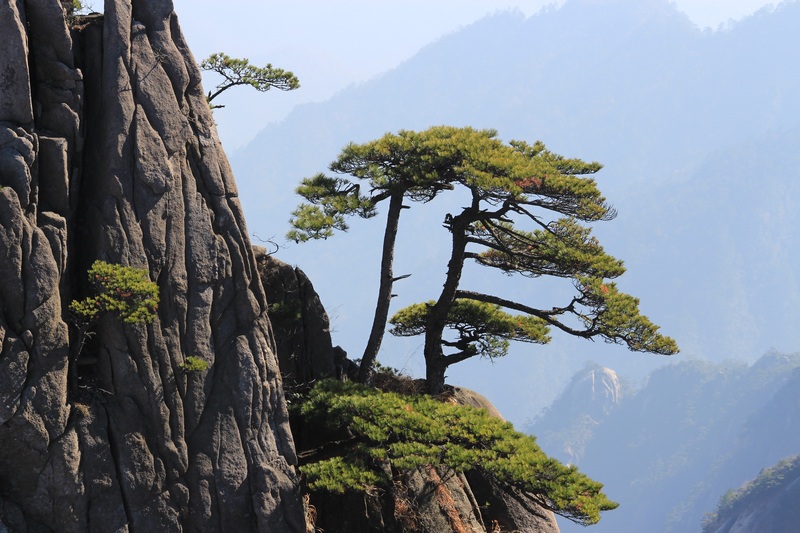 There are so many spots around Huangshan City that have an almost-magical beauty that it has inspired film directors to shoot some of the scenes here. 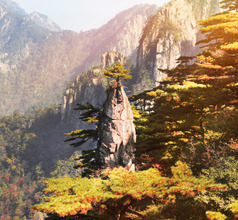 For example, some of the scenes in the Hollywood film “Crouching Tiger, Hidden Dragon” have been shot in the Huangshan Scenic Area. An international airport, Huangshan Tunxi is placed 9 kms from Huangshan in Anhui province of China. The airport was expanded in 2008 and has two terminals, one domestic and one international. Besides the major local routes, internationally it serves Korea, Taiwan, Cambodia and Hong Kong. Taxis can be unfairly expensive in Huangshan for the 18 minutes ride into town which should cost around RMB20. Public buses (No. 18 and 19) also go to the airport. The in-house hotel restaurants offer an International spread to cater to a large number of overseas tourists that visit Huangshan City. The local cuisine mostly follows the cooking styles of the Hui (Huizhou) ethnic group and Tunxi Ancient Street is the best place to try out these delicacies. The locals take pride in their culinary skills and lay a lot of emphasis on aroma, colorful presentation, and taste. They have many signature dishes that involve braising, stewing, stir-frying, steaming, roasting, etc. Some of their specialties are pickled Mandarin fish, yellow crab shell cake, turtle and pickled gammon soup, braised masked civet, stewed pigeon with Chinese herbs, Huizhou bean curd, etc.